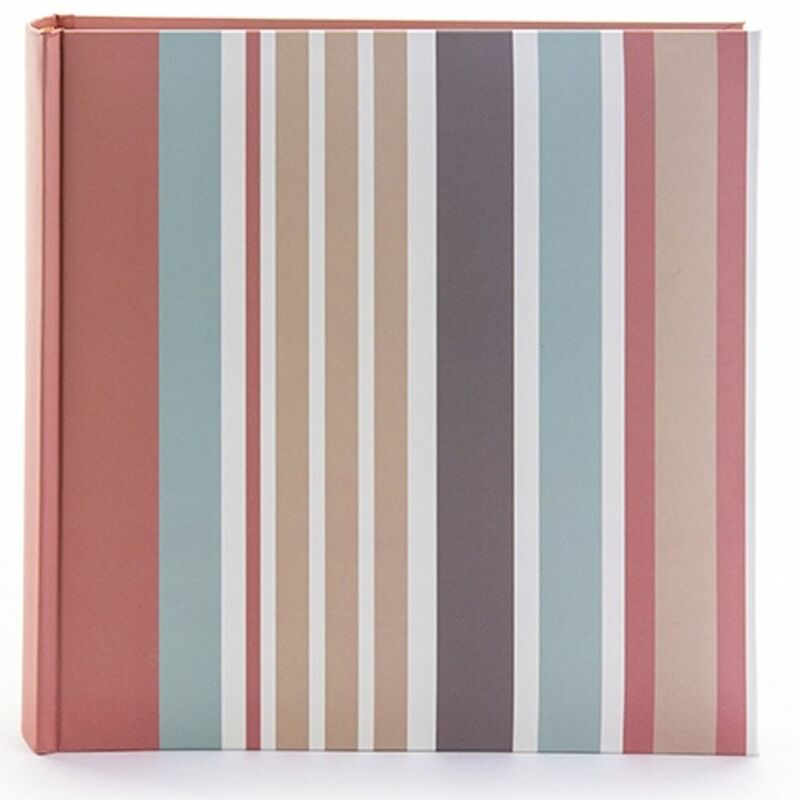 The high quality Candy Stripes 6x4 Slip In Photo Album is a brightly coloured photo album that holds upto 200 6x4 photographs. 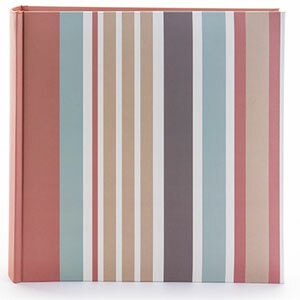 The hard cover, is very attractive with mulitple, vertical stripes in contrasting colours and widths. The left hand side of the album has a strong band of salmon pink down the spine, which continues around the back of the album and the white pages inside, have a memo area on which to write notes. The high quality slip in pockets, are very secure and made from clear, see through plastic which protect the photos inside. Each page has two horizontal plastic pockets per side and the photographs are slipped into the pocket from the spine side. There is a memo area at the side of the pockets on which to write notes. The Candy Spot Photo Album measures approximately 8.75 x 8.5 inches overall and is perfect for a select number of photographs.